In order to play Luck of the Draw Football, you will need to make sure your pop-up blocker won't block crucial game windows as they need to load. A new window should open with the word "Success". If it does, you are ready! Click here to continue Tailgating. to ensure the game will operate properly. Since there are literally dozens of Pop-up blocking software packages, it is nearly impossible to document the procedure for disabling each one. The following are instructions for the most common Pop-up blockers. Once your Pop-up blocker is disabled, refresh this page to test again. Hover over Pop-up Blocker until another menu opens. Click Turn Off Pop-up Blocker. Once you're finished playing, you can go back in and recheck to re-enable the Pop-up Blocker. Click the Down arrow on the Pop-up Blocker icon in the Yahoo Toolbar. The icon resembles a window with a shield in the lower right corner. Then, Uncheck the entry Enable Pop-Up Blocker. Click on the text blocked. This acts as a toggle button to enable and disable the Pop-up Blocker. The button should now read Popups okay. Once you're finished playing, click on the text Popups okay to disable them again. Click the Down arrow on the Pop-up Blocker icon in the MSN Toolbar. The icon resembes a windon with an X on it and the text "Pop-ups Blocked (n)"
Once you're finished playing, you can go back in and uncheck to re-enable the Pop-up Blocker. Click on the Pop-up Blocker button in the AOL Toolbar. The button resembles a window with a red square in the top left corner and the text "Blocked"
text should change from Blocked to Allowed and the red square should turn green. If someone has Norton Internet Security software enabled on their system with the Security Functions turned On, it will interfere with the Trades and Audible selections / timer functions. 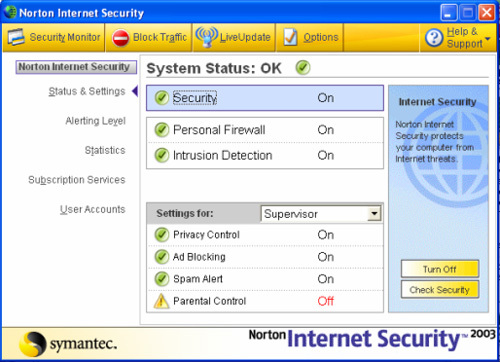 Click on Norton Internet Security Icon (Blue & Green round object). Click on "Norton Internet Security" option. Click on the Security Box and then click the "Turn Off" button displayed in the column to the right to temporarily deactivate this function. You will see the status of this function become turned Off.